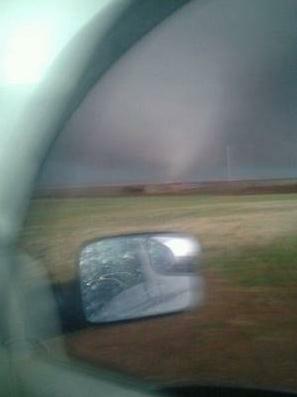 The massive tornado that hit the suburbs of Oklahoma City last Friday was a game-changer. The NWS confirms the widest tornado ever observed on the planet: 2.6 miles. 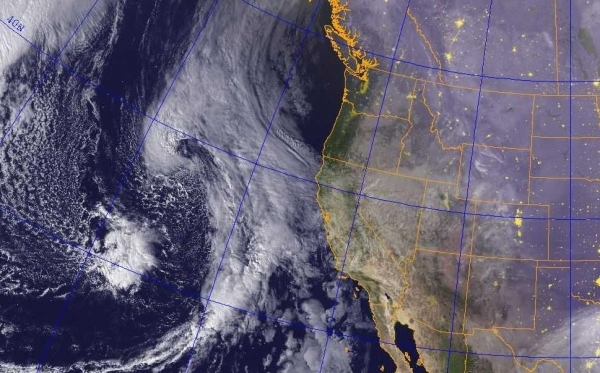 Winds reached 296 mph; based on a portable Doppler on the scene, which itself is generating controversy, since EF-rating is always tied to damage on the ground. 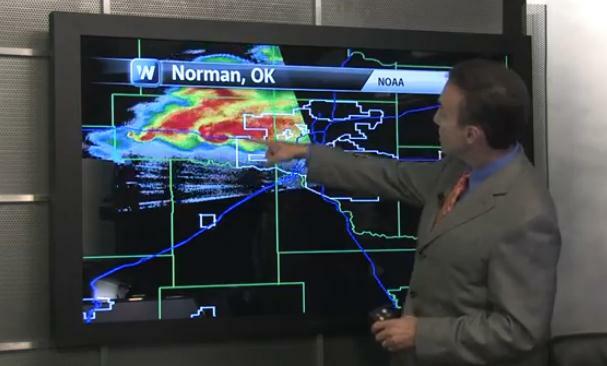 The El Reno tornado is generating a firestorm of criticism for an Oklahoma City TV meteorologist, who told people in the path to get into their cars and try to drive away. Tens of thousands heeded the warning, only to be stuck in traffic. Sitting ducks. Data seems to show you have a better chance of riding out even an extreme tornado in your home vs. tempting fate and trying to drive to safety. No basement? Consider a bathtub. People are alive today because they put on football & bike helmets to protect themselves from G-forces and flying debris. 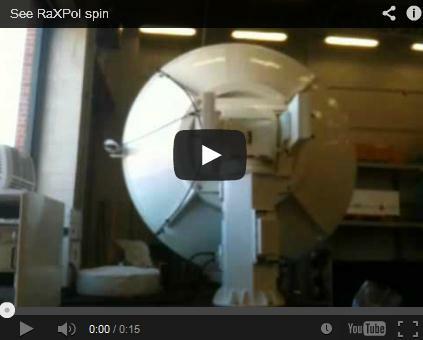 Yes, it probably looks goofy, but it might just save your life. It may surprise you to hear of more showers today, another round late Saturday & Sunday, yet more puddles the middle of next week. Highs hold in the 60s and 70s, a bit too cool and stable for anything severe. We’ll see glimpses of summer every now and then. Long-range ECMWF (European) guidance hints at a 90-95F degree heat spike by the end of next week. Photo credit above: “A storm develops just before it produced a tornado near El Reno Okla. just south of Interstate 40 on Friday May 31, 2013. 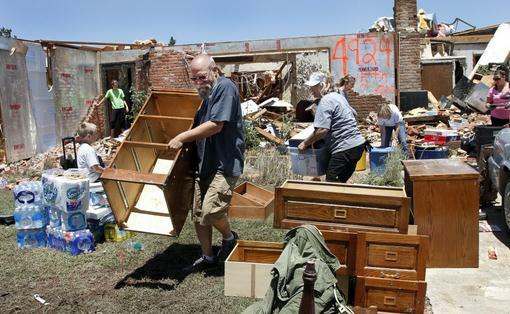 Several tornadoes in the area caused damage and injuries.” Photo: Chris Machian, ASSOCIATED PRESS. 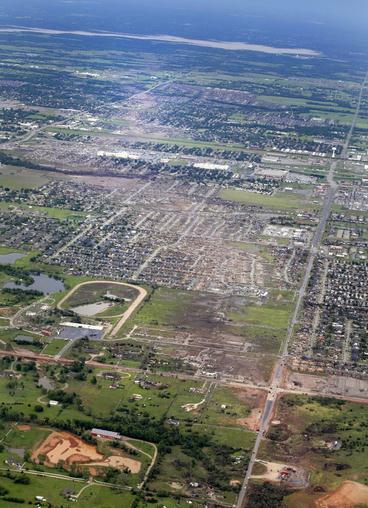 El Reno EF-5: A Game-Changing Tornado? 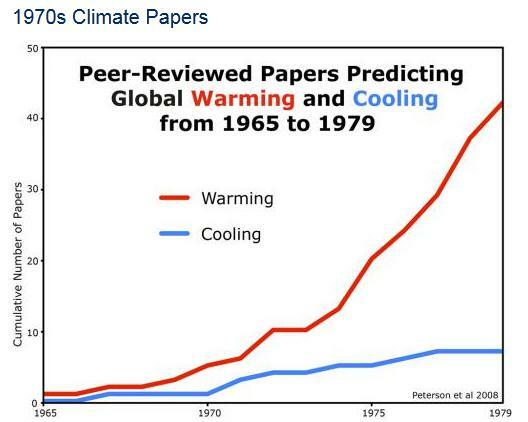 I can’t remember a tornado that had the entire nation talking, arguing and debating. Friday night’s monster multi-vortex tornado threw a spotlight on local TV meteorologists, and the words they choose to communicate risk. Is there ever a good time to encourage viewers to leave their homes and hit the streets? Probably not. And the 296 mph estimated wind speed came not from tracking damage and debris, but from a local Doppler radar on the scene. I’ve never heard of an EF-estimate based on Doppler vs. damage. 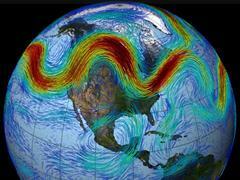 Today’s edition ofClimate Matters focuses on the El Reno tornado, and the mechanics and physics behind tornadogenesis. 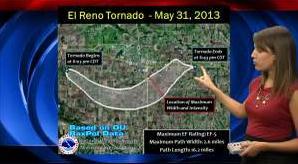 RELATED TO THE MAY 31 EL RENO TORNADO. Perspective. A 2+ mile wide tornado is unimaginable, but MAPfrappe.com has a tool that lets one superimpose a tornado track on any metro area. Sometimes people don’t get the message until/unless they see it in the perspective of their hometown. The El Reno EF-5 would have touched down near Wayzata, destroying major portions of Minnetonka, Hopkins, the Inner Lakes and South Minneapolis before occluding and dying out over downtown Minneapolis. Tornado Spike. 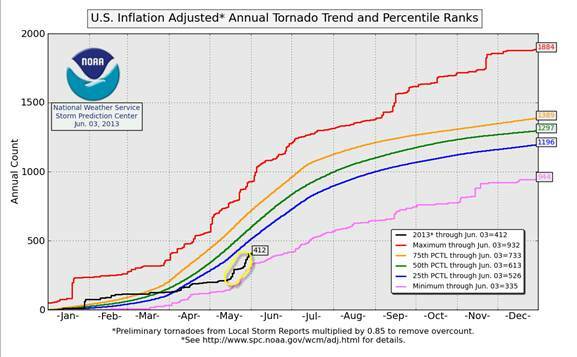 After a very slow start to the 2013 tornado season a persistent southward dip to the jet stream has created a sudden flurry of tornadoes, with a disproportionate number of violent, EF-3+ tornadoes in the last 2 weeks. Graph: NOAA SPC. Wednesday Severe Threat. 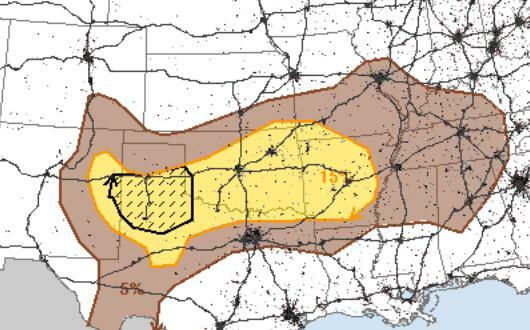 NOAA SPC shows a 10% chance of (significant) severe storms in the hatched area over the Texas Panhandle, an enhanced risk of tornadoes and large hail. A slight severe risk extrends from Amarillo to Oklahoma City, Tulsa and Little Rock. Disorganized, But Potentially Potent. Whether the tropical wave in the eastern Gulf of Mexico reaches tropical storm status is academic; the real concern here is not storm surge or coastal inundation but inland flooding, from Wednesday night into Thursday across Florida, where some 4-8″ rainfall amounts are likely, due to the slow forward motion of this system. Moderate Flood Potential. 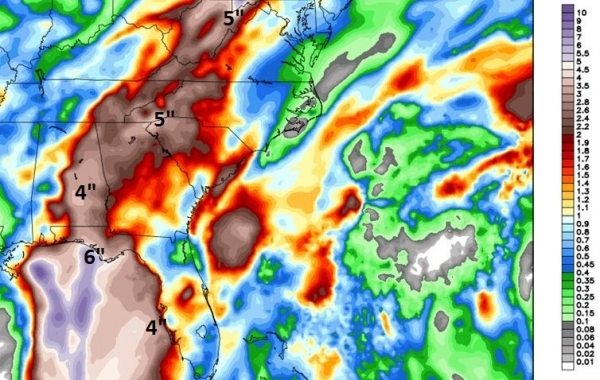 A huge sweep of the east coast, from Sarasota and Tampa to Charleston, Savannah and much of New England may pick up enough rain for flash flooding from the tropical wave pushing across the Gulf of Mexico. 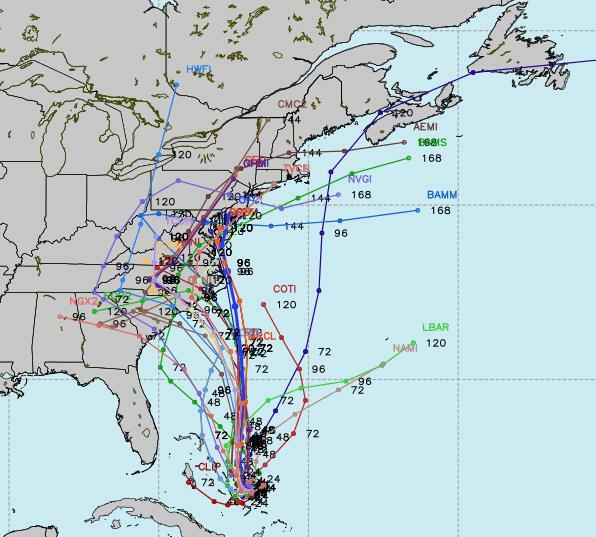 Some models print out 3-5″ rains for New York City, Boston and much of interior New England, possibly enough rain to send some streams and smaller rivers out of their banks. 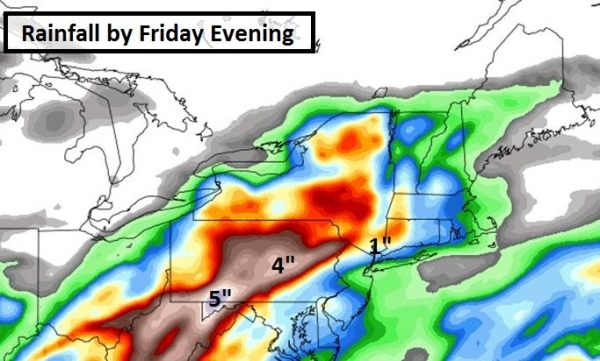 Urban flooding is most likely Friday evening into Saturday from New York north and east. QPF courtesy of NOAA. Alerts Broadcaster Models. Our in-house modeling expert is most concerned about Tampa/St. Pete, in terms of flash flood potential, with some 5-8″ rainfall amounts from today into early Friday. Track. It’s a little early to be tracking tropical systems, and my sense is that it’s a precursor to a very busy year for hurricanes and tropical storms in the Atlantic, Caribbean and Gulf. Remember, a storm doesn’t have to be a hurricane to be dangerous. 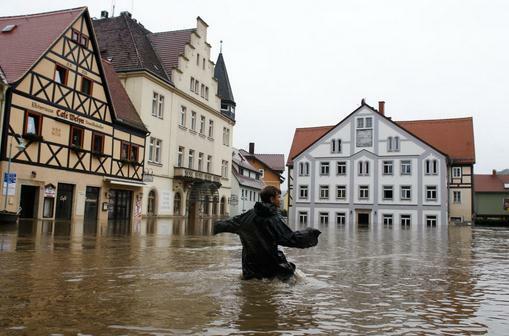 In recent years as many as 1 in 3 deaths have come from inland flooding, hundreds of miles from the coast, in some cases 1-3 days after landfall. This danger is often overlooked and underestimated. In many cases the speed of the system is a much better indicator of flood risk than the intensity (category) as it reaches the coast. Flood Watch. 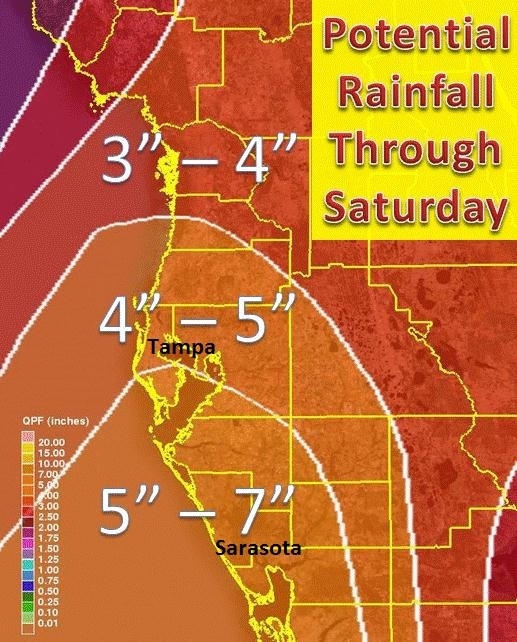 NOAA has already dropped a Flash Flood Watch in place from Fort Myers and Naples to Sarasota and the Tampa/St. Petersburg market. I expect a significant flood risk farther inland as well, from Orlando to Ocala and Gainesville by late Thursday. Expect this watch to be upgraded to Flood Warnings for specific counties as early as Thursday morning. Rough Seas. 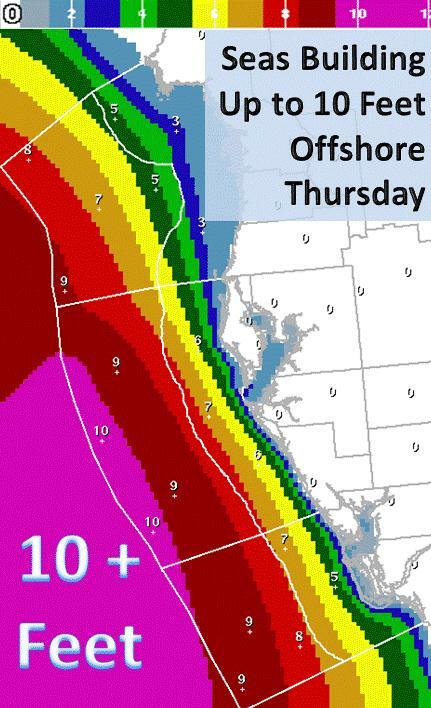 Seas up to 10 feet are expected by Thursday in the Gulf of Mexico, the best chance of a 3 foot-plus storm surge from Tampa northward to Florida’s Big Bend. 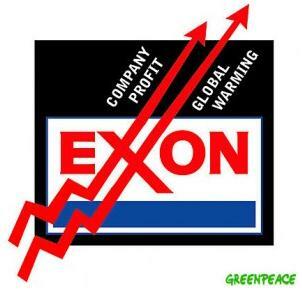 Graphic: NOAA. Minor Coastal Flooding. High tide at Clearwater Beach, Florida is 10:38 am Thursday morning, so there will be some astronomical forcing to go with any wind-whipped storm surge pushing ashore. 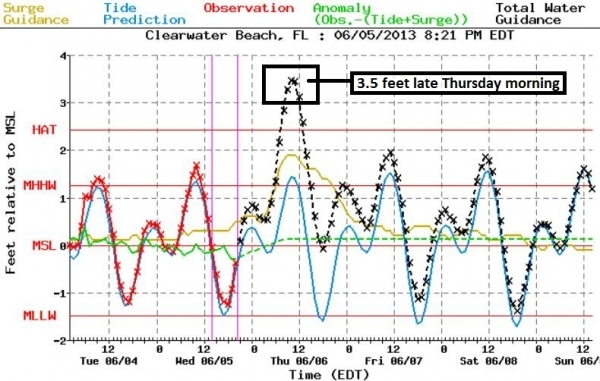 Storm surge models bring a 3 foot swell into Clearwater Beach during the late morning hours Thursday. Facilities that are susceptible to flooding (urban, small stream or coastal) may experience problems along Florida’s Gulf Coast, especially Thursday morning and midday. Copious Rains. 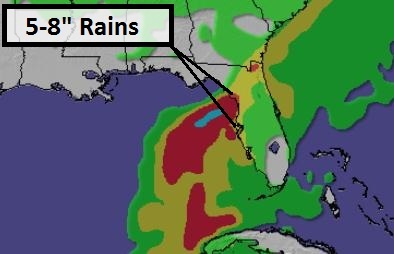 Some of the models we trust print out as much as 4-7″ rain from Marco Island and Naples to Tampa; that’s 5-6 week’s worth of rain, falling on ground already partially saturated. 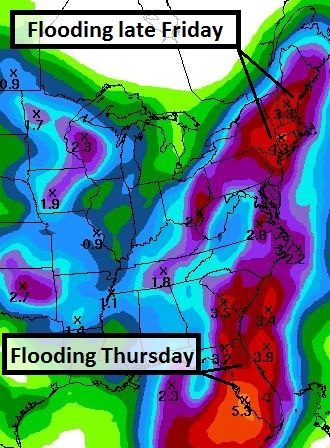 I do expect considerable inland flooding over Florida from Thursday into Friday. Rainfall Risk. The east coast of Florida (Miami and Ft. Lauderdale to Daytona Beach and Jacksonville) will be brushed by this system, with scattered thunderstorms, downpours, even a few isolated tornadoes from feeder bands into this tropical swirl. The greatest risk of rainfall heavy enough to spark significant flooding is along Florida’s Gulf Coast, from Ft. Myers to Pensacola. Farther inland as much as 2-3″ rain may soak Atlanta (minor to moderate flash flooding), with heavier amounts over the Appalachians – as much as 4-6″ from near Chattanooga into West Virginia by Friday. Flash flooding, mudslides and power outages are expected, especially over hilly terrain well inland. 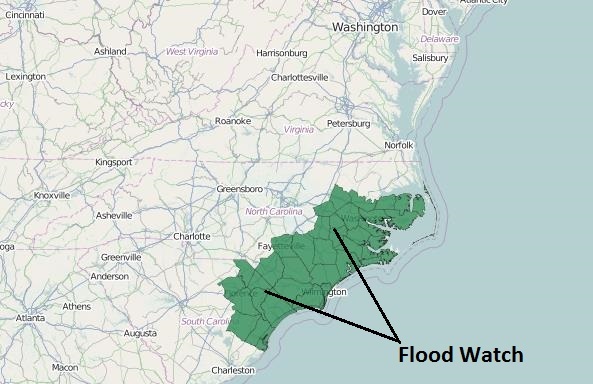 Growing Flood Threat Northeast. The map above shows predicted rainfall amounts by Friday evening. The height of the storm comes Friday night into Saturday from New York to Hartford, Providence and Boston, where some 2-4″ rainfall totals are possible from this tropical system. But the risk extends inland, from Altoona and Harrisburg to State College and Wilkes-Barre/Scranton, where flash flooding may unfold as well from Friday PM into Saturday, lingering into Sunday from Boston to Portland, Maine. 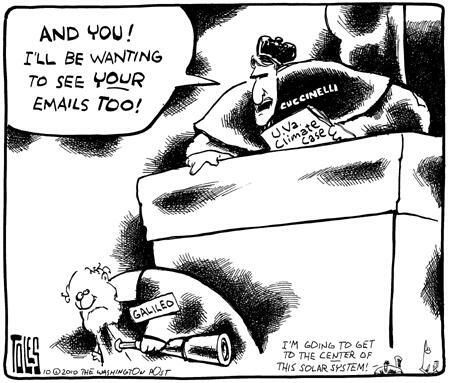 Cartoon courtesy of The Washington Post’s Tom Toles.